Using the Beatles to prove his point that humans in control of a vehicle is a thing of the past is a bit far-fetched and signifies this man’s mind is way ahead of what ordinary people like you and me can only grasp. Despite its apparent advantage in saving the lives of millions of people, Robinson sees autonomous driving as one of the biggest threats to car enthusiasts and therefore the automobile industry, something he thinks the “arrogant” CEOs in Detroit, Europe and Japan don’t yet realize. 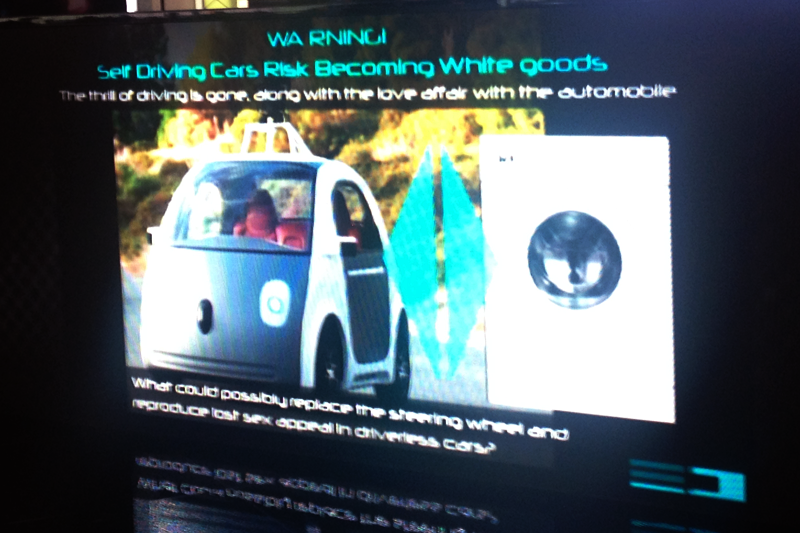 In his vision, self-driving cars will turn cars into appliances (at their Geneva Auto Show booth, they even showed pictures of a washing machine next to the Google self-driving car to prove this point), but the automotive world and car enthusiasts alike need to worry no longer, because Robinson has made it his personal mission to make sure this horrific scenario won’t become reality. The Torq autonomous racing car is his solution, because it will bring fun into driverless driving. Can you still follow this line of thinking? I don’t think the same CEOs he calls arrogant and ignorant to whomever listens to him will be very excited to take delivery of a futuristic spaceship that offers technology they either already have developed themselves, or don’t see as relevant for the near future, for example the 360° surround-view OLED screens that replace all the external glass in the car. But I do think the world (including the automotive industry) needs visionaries and dreamers, no matter how insane or out-of-this-world their ideas may be. These way-out-of-the-box thinkers breed innovation by inspiring others who would otherwise have thought too narrow-minded to envision something perhaps more realistic in the short- and medium terms. The ED Design Torq isn’t meant to become reality as a replacement to our current forms of transportation. And autonomous racing won’t kill the careers of Pastor Maldonado and Kurt Busch anymore than they’re already doing themselves. 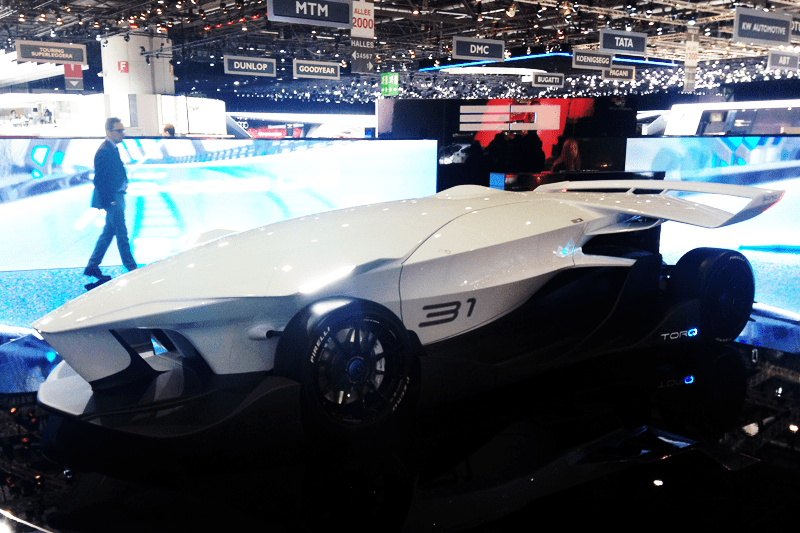 The ED Design Torq is the result of thinking without being constrained by realism, and as a result, it should act as an inspiration others working on self-driving cars and as a scenario of where the automotive industry may be heading. Or not.